It may sound obvious, but it can be easily forgotten. Getting into the habit of refuelling before your fuel light comes on is a good way to make sure you are not unexpectedly stranded. A good rule of thumb is to top up when you see your fuel gauge sitting around the eighth of a tank mark, as this will allow you time to head to your preferred petrol station, rather than getting stung with high fuel prices suddenly. Fuel comparison websites are also a great way to save money on fuel. 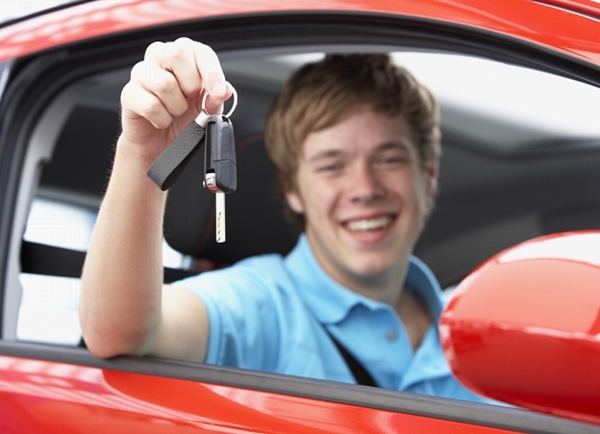 When you first get your new car there may be the tendency to try to keep your bite point at all times, for fear that you might not find it again. However, it’s good to get into the habit of using your handbrake whenever possible as to not risk burning or smoking your clutch. It may be nerve-racking to find the bite point under pressure, but you’ll soon get the hang of it. If a few people have to wait at the lights whilst you figure it out, it’s still better in the long run rather than having to keep your feet balanced on the pedals whilst you wait for the traffic lights to change. That being said, if you see a P appear on your dashboard, it’s a handy reminder that you’ve forgotten to remove your handbrake completely. Another maintenance must do is to get into the habit of checking your oil levels every few months. It is a simple task, which requires you to grab a cloth, pop the hood of your car and find the dipstick. To check your oil is within the required levels, pull and wipe the dipstick and place it back in to get a read. Depending on where the oil level sits, depends on how much oil you will need to refill it with. Another good piece of advice is to check your oil before a long drive, because if your oil light comes on and you don’t have enough oil to lubricate your engine and it could cause it to seize up. In addition to oil, coolant is another thing you need to keep on top of, as it keeps your car cool. Make sure that you only check these levels when the car is cold, as if you open the radiator cap when the car is still hot you could burn yourself. Always wait for the car to cool down! Like oil, a good tip is to check these levels before starting out on a long journey, and top them up regularly, whilst also remembering to always use coolant, rather thantap water. Tyre pressure is important to check as the pressure can affect your fuel consumption as well as the amount of grip you have on the road. If you don’t have a tyre pressure monitor inbuilt into your car, checking your tyres every month or so, is a good way to keep on top of it. Most petrol stations and servos will have air pumps which will be able to tell you the pressure of each tyre. As well as adhering to these above handing hints please make sure you seek professional advice every 5000-15000 kms. This will enable a mechanic to perform a deeper check over the vehicle and notify you of any preventative work needed saving time and money in the long run.